Lightovation: Dallas International Lighting Show – January 25, 2019 – Bulbrite celebrates an awards season of its own by announcing the sales representative award winners at Lightovation: Dallas International Lighting Show January 2019. Categories include: 2018 Most Improved Agency, 2018 Best New Agency, 2018 Market Saturation and 2018 Agency of the Year. BJM Sales has been representing Bulbrite since 2014 in the state of Utah. This past year, Ben McClelland did an amazing job overcoming territory adversity to grow his business by 29% with Bulbrite to take home our Most Improved Agency Award. In 2018 Bulbrite joined forces in The Carolinas with BC Lighting Group. This dynamic team of Brittain Cherry, Kevin Blackley and Martin Blackley hit the ground running and never looked back. They took their territory of North and South Carolina to new heights and fostered several key partnerships along the way. Source Lighting based in Tennessee and led by Jonathan McKinley entered 2018 with a laser like focus determined to grow distribution in a diverse customer channel in 2018. Only 12 months later, Jonathan accomplished that goal by almost doubling the territory. Respected by his peers and well-liked by his customers, Source Lighting has cemented themselves as a key agency in the Bulbrite family. Hired in 2012 to represent Bulbrite in Minnesota and Wisconsin, this elite team of representatives led by Todd Bierowski now covers 8 states for Bulbrite and are seemingly always in the running for the prestigious Rep of the Year Award. The last time they had won this award was 2011, but now on the heels of a great 2018, Todd Bierowski, Kathy Skogen, Troy Kaup and Nick Curtis are looking to take that next leap and be back to back winners. Lightovation is a bi-annual trade show held at the Dallas Market Center. The Dallas Market Center is widely renowned as the “International Home of Lighting”. During the Lightovation trade show, held each January and June, thousands of lighting buyers and professionals travel to Dallas to display their innovative product lines. Lightovation at the Dallas Market Center offers the most comprehensive collection of fixed, portable and trend lighting for residential and commercial applications. Lightovation: Dallas International Lighting Show – January 16, 2019 – Bulbrite launches exclusive distribution agreement with Plumen at Lightovation January 2019. Plumen bulbs have a heritage of being true art pieces, and Bulbrite is excited to announce its exclusive Lighting Showroom distributor agreement for Plumen’s new decorative LED Bulb. The world’s first designer low energy bulb, the original Plumen 001 is now reincarnated as a high performing LED. Plumen bulbs utilize flexible LED filaments to create the unique double loop form and is fully compatible with all dimmer types. Plumen bulbs pair perfectly with a Bulbrite gunmetal or black pendant to create a standout piece. Bulbrite’s showstopping Pendant and Grand pieces allow customization and flexibility with your lighting. Pendants are offered as individual pendants or in curated kits that include an LED Grand bulb, making it easier to buy the entire package to complete a specific look. Changing up a style is as easy as switching out a bulb with Bulbrite’s strikingly simple pendants and beautiful assortment of Bulbrite LED Grand bulbs. These pendants are UL listed, offer a 10’ woven cord, a 3-wire socket, and include a matching canopy. Bulbrite’s four collections of pendants (Vintage, Contemporary, Industrial, and Natural Marble) offer buyers beautifully designed and quality-constructed products at an affordable price. These pendants are the perfect complement for a variety of applications, including dining rooms, kitchens, and living rooms. 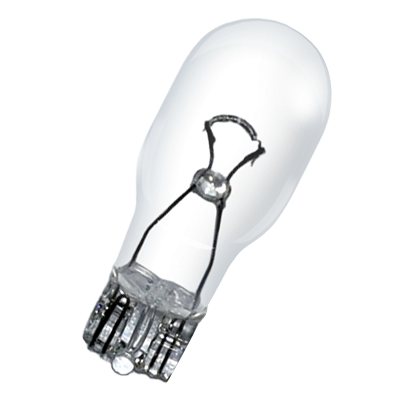 Bulbrite continues to be the leader in LED Filament product with an expansion of the line into additional bulb shapes and wattages. Now available is the LED Filament A19, a 3000K Milky finish line extension which provides the most uniform light distribution without heatsink and hot spots or shadows. These new products will provide users more options to switch out their traditional incandescent products for energy efficient LEDs without sacrificing look or feel. Bulbrite’s small format LED mini bulbs are true retrofits for Halogen and Xenon lamps, now with higher lumens and a smaller profile than ever before. Our line of LED Minis offer the right size, comparable levels of brightness, and dimmability similar to traditional bulbs. They are for residential and commercial applications, common uses include landscape lighting, pendants, chandeliers and sconces. These lamps are fully dimmable and UL listed. Legislation is critical to the availability and marketability of products. In our Lightovation showroom, Bulbrite shares insight into key Federal and State Legislative updates including DOE 2020, Title 20 and Title 24. Our showroom will also feature an overview of Lighting Basics including technology choices and other lighting concepts. Bulbrite launches the Homebuilder Loyalty Program to continue to support partners with the tools necessary to service the growing residential builder market. 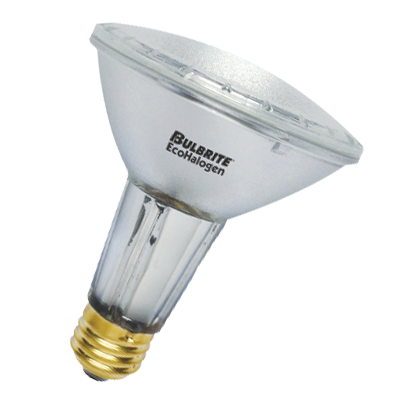 In addition, Bulbrite offers a vast assortment of competitively priced light bulbs and integrated fixtures for all home construction applications. For more detailed information on these new products and all of Bulbrite’s new product introductions, please stop by the Bulbrite Showroom #3525 at Lightovation: Dallas International Lighting Show 2019 or our website at www.bulbrite.com. Plumen was founded in 2010 by Nicolas Roope and Michael-George Hemus, they created the name Plumen, a combination of “plume,” the decorative feathers of a bird and “lumen”, the measurement of light, which reflect the values of the company. 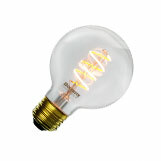 Their Original Plumen 001 bulb was the world’s first designer low energy light bulb. Lightovation: Dallas International Lighting Show – June 20, 2018 – Bulbrite launches over thirty (30) new products at June Lightovation 2018 along with a new merchandising program. Bulbrite expands its line of Grand LED Filaments with a new Natural Collection featuring shapes inspired by elements found in nature. Offered in an antique finish and with warm 2000K LED filaments, these five unique shapes bring a touch of nature indoors. Combined with its Traditional and Whimsical Collections, Bulbrite now offers the widest selection of Grand LED Filament bulbs, which are fully compatible with all dimmer types and rendering high-quality color with a 95 CRI. Bulbrite continues to broaden its full line of retrofit LED minis by introducing its new higher wattage E11s & E12s, higher wattage G9s, low voltage (12 & 24 volt) G4s & GY6s, and J-Types. This expanded line of forty six (46) small format LED mini bulbs are true retrofits for Halogen and Xenon lamps, now with higher lumens and smaller profile than ever before providing consumers more options for any application. Bulbrite has improved its LED A-Types collection, launching 20 new products. The new lamp assortment will feature five distinct 60 watt equivalent A19 options, ranging from simple non-dimmable A19s to high CRI California Title 20 and Title 24 compliant A19s as well as new 75 watt and 100 watt equivalent A19s and A21s. This multi-tiered collection will now provide better solutions for the consumer’s every need. To support all of the new product launches, Bulbrite will launch a new merchandising display program, offering retailers more options to demo and showcase Bulbrite Products. The new freestanding Pendant Collections display will utilize a variety of backgrounds that will pair with pendants from the 4 collections (Vintage, Contemporary, Industrial, and Natural Marble) that would be suit that design aesthetic therefore offering consumers the opportunity to envision the perfect pendant application in their home. Bulbrite will offer 2 new merchandising displays for the LED Flush Mount Ceiling Lights series. The first will be an interactive countertop display, showcasing the product and providing information regarding the features and benefits to consumers as well as an opportunity to experience the dimmability of the product firsthand. The second merchandising display is a freestanding wire rack, providing retailers a way to display and store product for purchase in the store while also providing valuable features and benefits regarding the LED Flush Mount Ceiling Lights. For more detailed information on these new products and all of Bulbrite’s new product introductions, please stop by the Bulbrite Showroom #3525 at Lightovation: Dallas International Lighting Show 2018 or our website at www.bulbrite.com. Lightovation: Dallas International Lighting Show – January 23, 2018 – Bulbrite launches over one hundred (100) new products at Lightovation January 2018 in five different product categories. Bulbrite launches its first full line of lighting fixtures with 4 collections of pendants. The 4 collections, Vintage, Contemporary, Industrial, and Natural Marble, offer buyers a quality designed and constructed product at an affordable price. These pendants are the perfect complement for a variety of applications, from the home to a bar or restaurant. Pendants are offered as individual pendants or in curated kits that include an LED Filament bulb, making it easier to buy the entire package to complete a specific look. These pendants are UL listed, offer a 10’ woven cord, a 3-wire socket, and includes a matching canopy. 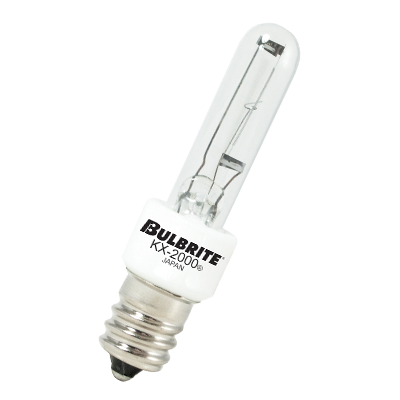 Bulbrite continues to be the leader in LED Filament product with an expansion of the line into additional bulb shapes and wattages. 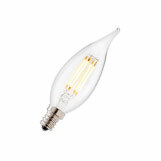 Now available are 60 Watt equivalent chandelier bulbs as well as 75 Watt & 100 Watt equivalent A-shape bulbs. Also available are other traditional styles in a new Milky finish, which provides the most uniform light distribution without and hot spots or shadows. These new products will provide users more options to switch out their traditional incandescent products for energy efficient LEDs without sacrificing look or feel. 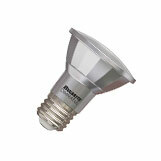 Bulbrite expands its LED mini line and now includes E11, E12, Single Contact, and Double Contact base products. These small format LED mini bulbs are true retrofits for Halogen and Xenon lamps, now with higher lumens and smaller profile than ever before. Ideal for residential and commercial applications, common uses include landscape lighting, pendants, chandeliers and sconces. 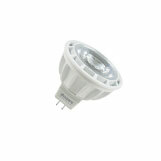 These lamps are fully dimmable and UL listed. Bulbrite launches a full line of Ceiling Lights, in both a Flush Mount option and an integrated Junction Box option. Perfect for any ceiling application, the Flush Mount Ceiling Lights are available in 3 sizes (5.5”, 7”, and 9”), 2 shapes (round and square), 2 finishes (white and silver), and 3 color temperatures (2700K, 3000K, & 4000K). These energy efficient ceiling lights have a 50,000-hour lifetime, are fully dimmable, high 90 CRI, wet rated, Energy Star qualified, ETL listed, and Title 24 JA8 compliant for the California market. Perfect when remodeling your home by offering an integrated J-Box for easy installation, the LED All-in-One Ceiling Lights with J-Box are available in 2 sizes (4” & 6”) with 3 color temperatures (2700K, 3000K, & 4000K). 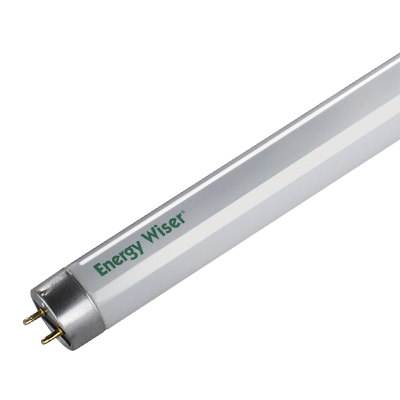 These energy efficient lamps have a 40,000-hour lifetime, are fully dimmable, damp rated, Energy Star qualified, are UL listed. Bulbrite continues to focus on extending your living space and bringing beautiful light outdoors as well. With eight (8) new energy-efficient LED String Light Kits offered a variety of lengths and colors, Bulbrite will help set the scene for any outdoor moment, from weddings to parties to quiet nights with your family. These new string light kits are a perfect complement to any outdoor commercial or residential application, from gazebos to backyards. Moonachie, NJ (Oct. 17, 2017) – Bulbrite Industries, a leading manufacturer and supplier of innovative, energy-efficient light source solutions headquartered in Moonachie, NJ, announces the launch of its LED All-In-One Downlight, which makes the installation of recessed lighting easier and significantly less expensive. The innovative new fixture eliminates the need to install a can before mounting a separate flood lamp, and features an integrated J-Box, so no connection to an external J-Box or E26 Adaptor is needed. Bulbrite’s LED All-In-One Downlight is a sleek, modern, fully integrated lighting fixture that doesn’t require a can or adaptor and includes the light source and an integrated J-Box, making installation and subsequent wiring easy. An electrician simply cuts a hole into the ceiling, fits the product into place, and connects the downlight to the home’s wiring. To add to the savings in both cost and effort, Bulbrite’s LED All-In-One Downlight is IC rated, which means it does not require further insulation. It’s also ENERGY STAR® rated; consumers will save up to $280 annually per fixture over the life of the lamp (based on measurements from the 6” model). For more information on Bulbrite’s LED All-In-One Downlight, or for information on the company’s entire family of almost 50 fully dimmable LED Filament light bulbs, nearly 30 Title 24 Compliant JA8 Qualified light bulbs, and its entire line of design-friendly and energy-efficient lighting products, call 800-528-5555 or visit Bulbrite online at www.bulbrite.com. The 2017 Lighting for Tomorrow winners were announced at the American Lighting Association annual conference on September 12 in Vancouver, British Columbia. The yearly competition challenges manufacturers to develop residential lighting products that successfully incorporate advances in both design and energy efficiency. Bulbrite was proud to be a winner in the replacement lamp category with the LED Filament Bulb T6 (Item #776604, Ordering Code LED2T6/22K/FIL-NOS/2) and received an honorable mention with the LED A19 JA8 Qualified (Item #774100, Ordering Code LED9A19/927/J/D and Item #774110, Ordering Code LED9A19/930/J/D). 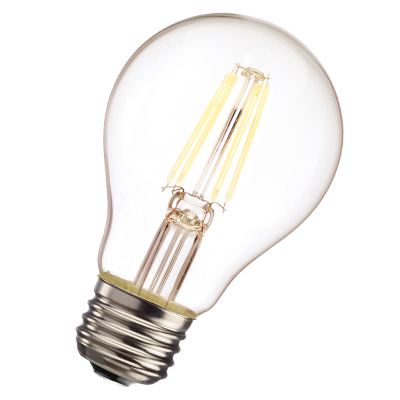 Bulbrite’s LED Filament Nostalgic T6 bulb has the warm light output and finish of a traditional nostalgic incandescent, with all the benefits of LED. 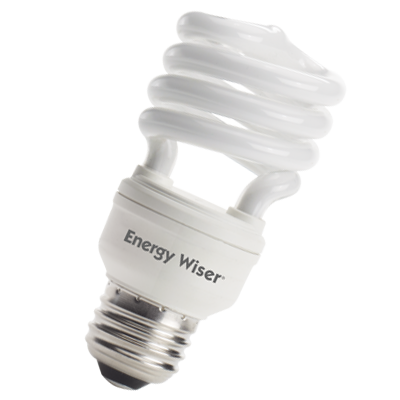 Extremely energy efficient, this ENERGY STAR qualified bulb clocks in at just 2.5 watts and while providing a brightness level of 160 lumens, for an impressive lumens per watt ratio. This candelabra (E12) base bulb is UL Listed for damp locations, suitable for enclosed fixtures, and compatible with all dimmer types, making it an ideal fit for coach lights, sconces, chandeliers, and ceiling fixtures. 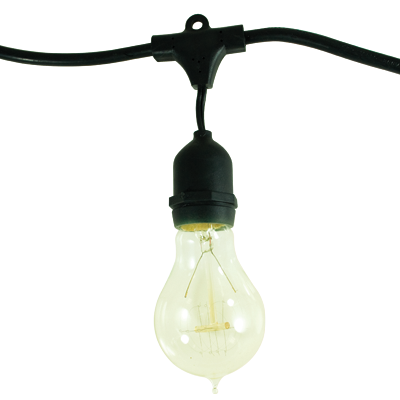 The judges commented, “This tubular T6 features a new filament bulb shape and a safety feature meeting a market need at a great price point!” Available now, these bulbs are the perfect mix of function, style and energy efficiency, all in a neat little package. 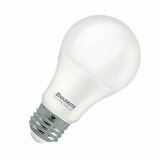 Check out the entire family of almost 50 fully dimmable LED Filament bulbs, the nearly 30 JA8 Qualified bulbs, and all Bulbrite’s other great lighting products, at www.bulbrite.com. Lightovation: Dallas Int’l Lighting Show – June 22, 2017 – Bulbrite debuted over one hundred and thirty (130) new LED models at June Lightovation 2017. Bulbrite’s Grand LED Filament line premiered this week at Lightovation, with eight (8) models to complement their current Incandescent Grand Filament line. The new LED models have a clear finish with a warm, 2200K filament, providing a vintage feel with a modern finish. The bulbs stand at an impressive 12-17 inches and pair with Bulbrite’s pendants to create a conversation piece for any space. 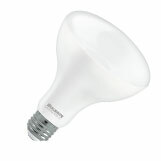 These new LED models are energy saving, and are available in unique shapes that give an impressive look to any room. Another long-awaited LED category expansion is the LED mini collection, featuring eleven (11) SKUs that are Halogen/Krypton/Xenon replacements. The collection is available in 12V and 120V and includes models with Wedge, G4, GY8, G9, E11 and E12 bases, many of which are fully compatible with all dimmer types. These LEDs have a higher lumen output and smaller profile, making them a perfect fit for sconces, pendants and other small places. 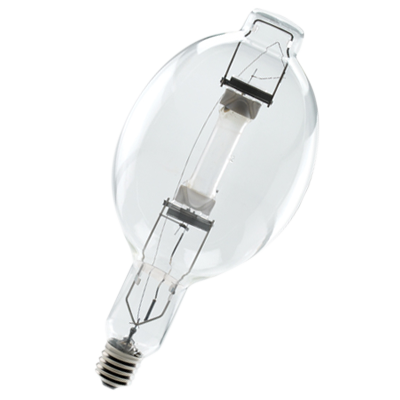 Added to the growing line of Bulbrite’s LED Filament collection are seven (7) new SKUs, including a B11 E12 chandelier bulb in 2700K & 3000K CCT that are JA8 Qualified. Expected to be one of the most popular additions, the new G40 shape models are available in both clear and frost finishes with a UL rating for Wet and Enclosed locations. 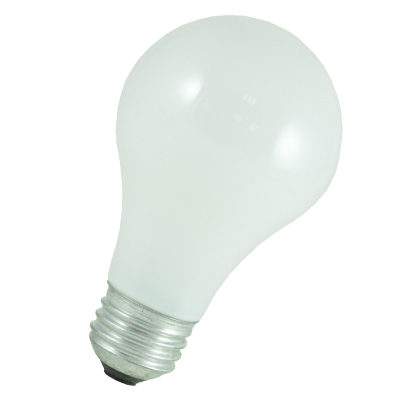 Rounding out the line are an A15, T6 and T9 LED Filament clear bulbs in 2700K. The new LED Filaments are ideal for decorative applications in residential and commercial locations, are dimmable and have Energy Star qualified models, bringing the total number of Energy Star qualified products to 25 SKUs. Bulbrite launched twelve (12) new JA8 Qualified SKUs, including Chip on Board (COB) MR16s and PAR16s as well as A21s and R20s which are all UL damp rated. The expansion to the Title 24 Qualified series of LED Filaments include two (2) candelabra-based B11 models that offer California customers more decorative options that are in high demand. New LED T8 and T5 DLC 4.2 compliant replacements were also released, all of which are ETL NSF certified for safe use in food areas and similar environments where this certification is needed. Important to note is that all LED Direct T5 and T8 models are dimmable when paired with a compatible dimmable ballast, and all models last twice as long as Fluorescent alternatives. Additionally, the new LED Bypass T8 models include a double input feature which makes them easier to install than previous bypass models. The LED double input T8 is compatible with both shunted and non-shunted tombstone sockets with two live ends. An expansion of the SORAA collection were debuted at Lightovation, where an impressive seventy-six (76) new additions including Vivid PAR20, PAR30 and PAR38 models with a GU24 base that are Title 24 Compliant JA8 Qualified. In this expansion are also an assortment of new Vivid and Brilliant PAR36 models and new Snap accessories to increase color vividness and adjust beam angles. For more detailed information on this new product and all of Bulbrite’s new product introductions, please stop by the Bulbrite Showroom #3525 at Lightovation: Dallas International Lighting Show 2017 or our website at www.bulbrite.com. Bulbrite teamed up with the ART (Accessories Resource Team) + IDS (Interior Design Society) Conference in Scottsdale, AZ, to donate hundreds of light bulbs for their Grand Veterans Village project. During the ART + IDS Conference, May 18-21 in Scottsdale, Arizona, attendees took part in a community project to support Grand Veteran’s Village, a housing facility for homeless and disabled veterans. All participants put their interior design skills to work, working tirelessly to upgrade the veteran’s facility. More than a 1,000 items were donated by various home furnishing industry companies, including mirrors, accent art, bedding, and lighting. Over 700 lightbulbs were donated from Bulbrite in both medium and candelabra bases for use in various applications throughout the home. The ART + IDS teams provided makeovers for over 100 rooms during the afternoon, providing new, inviting, and comfortable living spaces for these Phoenix-based veterans. To thank all attendees of this first combined conference, Bulbrite also donated over 180 LED Starry lights that are ideal for DIY and decorative applications to give each participant some additional sparkle to their swag bags! MOONACHIE, NJ – BULBRITE, a leading manufacturer and supplier of innovative, energy efficient light source solutions and the premier educational resource for lamping technology, hosted a company-wide Bike Building Contest resulting in the donation of five children’s bicycles to the town of Moonachie and children in need. All Bulbrite employees were divided into five interdepartmental bike building teams. With the objective of building a bicycle and creating a commercial for the bike, the teams set to work on building each bike by hand. With popcorn and snacks ready, all the videos were aired at a company-wide viewing. The winner was voted on and announced at the April monthly company meeting. The Bike Build was an opportunity for team members to interact and build deeper working relationships with each other. Bulbrite prides itself with creating a work environment where people enjoy coming to work. “It isn’t just about getting the work done, it is also about building friendships that last,” commented Andrew Miller, Marketing Communications Manager. Cultivating Bulbrite’s award winning BE BRITE culture is at the center of a yearlong program with the ultimate goal of building a fully aligned, engaged and high performing team. Mary Hogan, Director, Human Resources, said, “We plan several different functions throughout the year with many of them focusing on reaching out into our local community of Moonachie, NJ. As a company, we have been so richly blessed we look for many ways to give back to our town.” Other events at Bulbrite include their Bring Your Child to Work Day and a corporate 5K run. Team “Cool Beans” won this year’s Bike Build event with a funny and original video based on a famous infomercial spot. The commercials pushed the staff to tap into unused talents. The bikes have all been donated to the municipality of Moonachie, where they will go to children in need. To view the winning team’s commercial, visit www.facebook.com/bulbrite. Don’t forget to follow Bulbrite’s Social Media Channels to see what projects the team is working on next. Lightovation: Dallas Int’l Lighting Show – January 17, 2017 – Bulbrite is debuting over forty (40) new products at January 2017 Lightovation. Twenty-one (21) fully compatible LED Filaments are premiering, including new E12 base options in B11, CA10, T6, and G16 shapes, and E26 base options in A19, ST18, and G25 shapes. A variety of color temperature options are available, including new 3000K CCT bulbs. 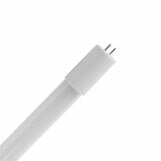 These new LED Filaments are compatible with all dimmer types, help save money and energy, and are UL listed. Another exciting addition is the expansion of the Grand Nostalgic line of oversized bulbs. The line will now include three (3) new, unique shapes, including the NOS60-BH, a beehive shaped lamp, the NOS60-WB, reminiscent of an elongated water bottle shape, and the NOS60-DIAMOND, an exaggerated diamond shape lamp. Four (4) new string lights will also make their official debut. With E12 and E26 bases, each string light comes packed with unique bulbs in either nostalgic or clear finishes. In the General Lighting category, Bulbrite will launch new A19 and BR30 options that are JA8 certified to meet California’s Title 24 building standards. In addition, the MR16 line will feature new dimmable and enclosed rated models with COB (chip-on-board) technology, adding two (2) 5000K options and two (2) short neck PAR16 lamps to the assortment. All items in the 36 SKU assortment are ENERGY STAR® certified and rated for fully enclosed applications.